Chile boasts one of the most stable economies in South America, making a Chile tour highly desirable for both tourists and investors. The capital city, Santiago, with six-million people is a natural starting place for a Chile holiday, boasting nightlife and restaurants unmatched. Best time of the year to visit Chile? Everything was well organized from start to finish. Guides were efficient and pleasant. The trip actually exceeded our group's expectations. 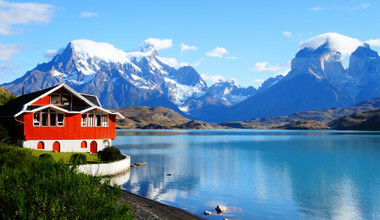 Thanks to Chile's gradual emergence as one of South America's most stable economies it has become a benchmark for development in South America - as well as a favorite destination for tourists and investors. Chile tours inevitably start in its capital, Santiago. It's home to 6 million people and is the 6th biggest city in South America - boasting nightlife and restaurants. But nightlife doesn’t even begin to explore the tip of both a literal and figurative iceberg of sights and sounds found in Chile, including the beautiful blue icebergs found kayaking through Torres del Paine National Park in Patagonia. This narrow country bordering the Pacific Ocean for 4,270 km (2,653 miles) has something for everyone. Chile’s infrastructure and cleanliness is unmatched throughout South American. More and more newcomers are starting to visit, enthralled to discover all the cultural delights and eclectic mix of old and contemporary Chile has to offer. 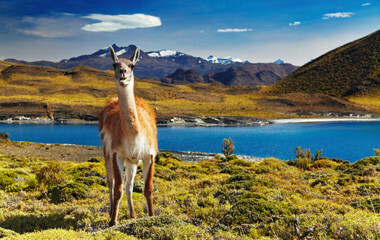 Because of Chile’s formidable length, it is hard to cover all the wonders in a single trip to Chile. Most visitors spend their travel to Chile either in the bottom half (Patagonia and Santiago), or the top (Santiago and upwards). Wine enthusiasts will enjoy some of the fine vineyard tours in and around Santiago and want to visit a few museums and fine restaurants before moving on, to enjoy the natural beauty of Chile travel. 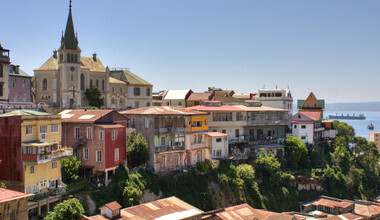 Valparaiso, Chile’s other major city, sits temptingly close to the capital and contains an alluring labyrinthine alleyway structure with old cobbled streets and fabulous architecture, perfect for hiking in Chile. Horse riding tours in the Elqui Valley of the Andes have been attracting tourists for years and offer the perfect hillside scenery for such an adventure, overlooking tranquil lakes and lush vegetation. 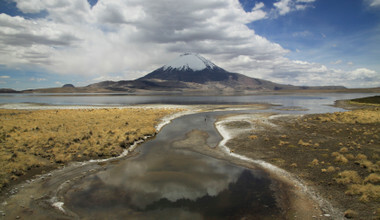 Heading further north you will reach the Atacama Desert. The Atacama is the driest place on planet earth with an arid, moon-like landscape that stretches 1,000km from northern Chile as far as Southern Peru. 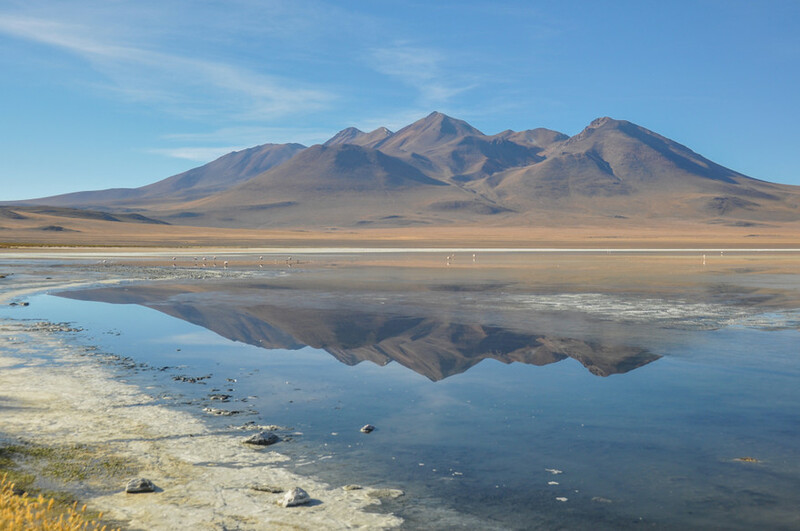 Atacama treks contain stunning snow-capped mountain ranges, vast picturesque salt lakes, surreal looking rock formations and an abundance of fresh mountain air. Heading to a warmer climate down south is the beautiful landscape of the popular Lake District. 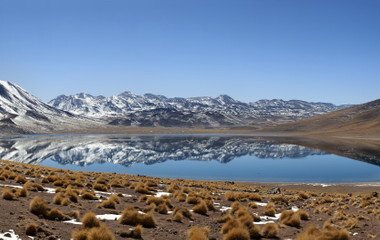 With jaw-dropping scenery the Lake District offers some of Chile’s greatest jewels. Formed of stunning, rich blue lakes, extreme dense forestry that is excellent for hiking and monumental volcanoes, this is where Chile is its most pristine. Further south is the desolate natural beauty of Patagonia, a stark isolated stretch of wind-swept mountains leading, along with the Argentinian side, down to the end of the world. The top site of Chilean Patagonia has to be the Torres Del Paine massif, a hiking hotspot with a series of granite spires that precariously loom over the naked landscape. 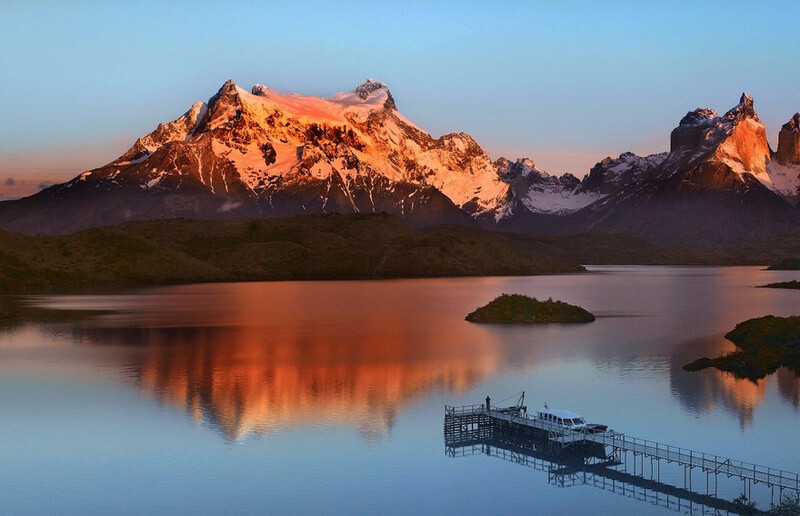 Tierra del Fuego, translates to the ‘land of the fire’, and offers scintillating mountain scenery and a selection of prodigious glaciers. Finally, if you haven’t got enough added enough things on your to-do list already, Easter Island, one of the most remote places on the planet, and offers amazing prehistoric cultures and ancient sculptures. Sitting on Chile’s Pacific coast, along with Isla Robinson Crusoe, part of the Juan Fernandez archipelago, Easter Island consists of remarkable undulating, mountainous terrain, formed over the years from volcano activity. Isla Robinson Crusoe also boasts a rich abundance of wildlife and dense vegetation. 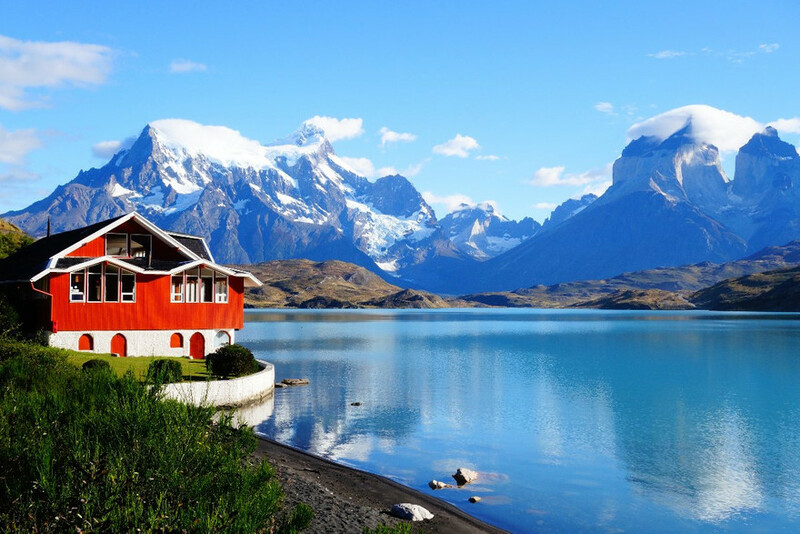 Most Chile tours will begin with the sights of her vibrant urban centers but for the remainder of your Chile holiday package you will want to explore the incredible landscapes Chile offers. Just outside Santiago you’ll find the snow-capped Andes Mountains where you can climb, trek, rappel, raft, or ski during your Chile vacation. 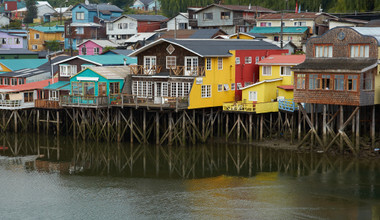 If seaport, coastal life is appealing, look no further than the cliffside city of Valparaiso. Not only will you discover the freshest Chilean sea bass in the world, you will be able to enjoy it in one of the most colorfully vibrant cities in the nation, where each of the 44 cerras (hills) are painted with brightly colored murals. Up and down the entire coast, you’ll find an exceptionally diverse country. 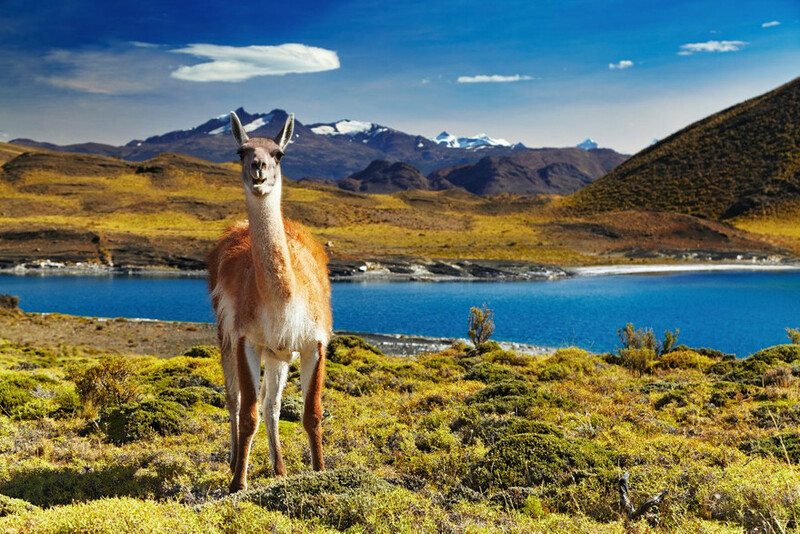 From the northern part of the country with stargazing in the Atacama Desert, to the southern part tip with the beautiful, crumbling glaciers and fjords of Patagonia, you will find a marvelous variety of things to explore with a Chile private tour. If architecture is your passion, you won’t want to miss the 16 churches on the southern island of Chiloé. A UNESCO World Heritage site, these Jesuit built treasures date back to the 1600s when the area was colonized by the Spanish. Especially incredible is the merging of ancestral wooden boat construction with Spanish architecture to create buildings without nails. Instead, reinforced wooden joints hold the churches together. All these adventures are certain to make an intrepid traveler thirsty, and again, the vineyards of the Colchagua Valley in central Chile do not disappoint. They are home to some of the finest wines in the world, originally cultivated by European settlers in the late 20th century. Should you fancy yourself a modern-day Robinson Caruso, you will find the inspiration behind the story at the Juan Fernandez Islands and discover the largely self-regulating biospheres of nature. We all want the best, most authentic experience when we travel. Getting in touch with locals and experiencing their way of life is an essential part of getting to know the world we live in, and here at trip.me we understand that. That's why all our local travel agencies in Chile know the country inside out. 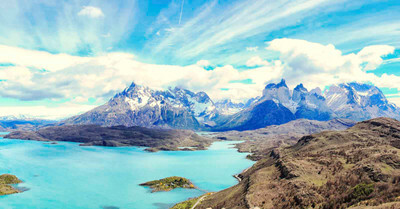 They're here to help you hand craft your dream trip to Chile the way you want it. With trip.me you book your trip direct with the experts based in Chile, meaning you get a completely personalized service and the best advice at your fingertips. Better yet, you'll be skipping over unnecessary middlemen and therefore keeping your money where it belongs: in your pocket, and with the hardworking locals in Chile. 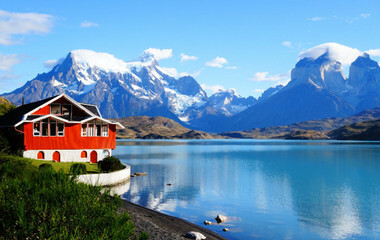 The first step of your dream trip to Chile begins here at trip.me. With Chile’s absurdly long coast, it is no surprise that Chilean cuisine features exquisite seafood dishes, fresh from the day’s catch. Additionally, like Argentina, Chile is famous for its fantastic wine, particularly red, and sumptuous steak, cooked to perfection in an asado, a brick barbecue with a chimney that adds a nice smokey flavor to the beastly red meat. Fortunately the two go so exceptionally well together. Meat is really the staple requirement in any Chilean dish, whether it’s pork smothered with chili, a wholesome chicken and vegetable soup or salty chunks of beefy goodness. Literature plays an integral part in understanding the culture of Chile, with illustrious poets such as Pablo Neruda and Gabriela Mistral having won the Nobel Prize for Literature. Both were stern advocates of socialist politics, which induced their vehement yet romantic poetry. 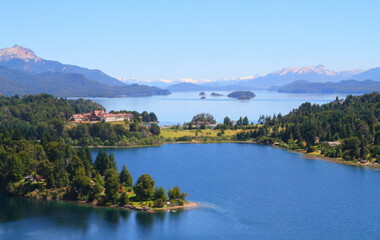 Southern Chile attracts many visitors throughout the appealing summer months of November-March. The Atacama desert can be explored all year round, but summer brings about extremely hot days and bitterly cold nights. 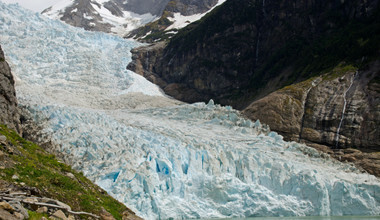 In general Chile tours can certainly be a great experience all year round but December-March is the high season. Skiing is best in the winter months of July-September. Lorena was very quick to respond to all my questions regarding our trip to Chile. Not only did she respond promptly but she called to check on me during my trip. I was very happy with her knowledge and help. Lorena's responses were prompt and informative. Pre-tour itinerary change queries were met with suggestions and patience. When a scheduling issue arose during the trip, she e-mailed itinerary changes to me. Lorena was fabulous. Every question answered. All details taken care of. Great tours and guides. Good advice. Trip exceeded my expectations.